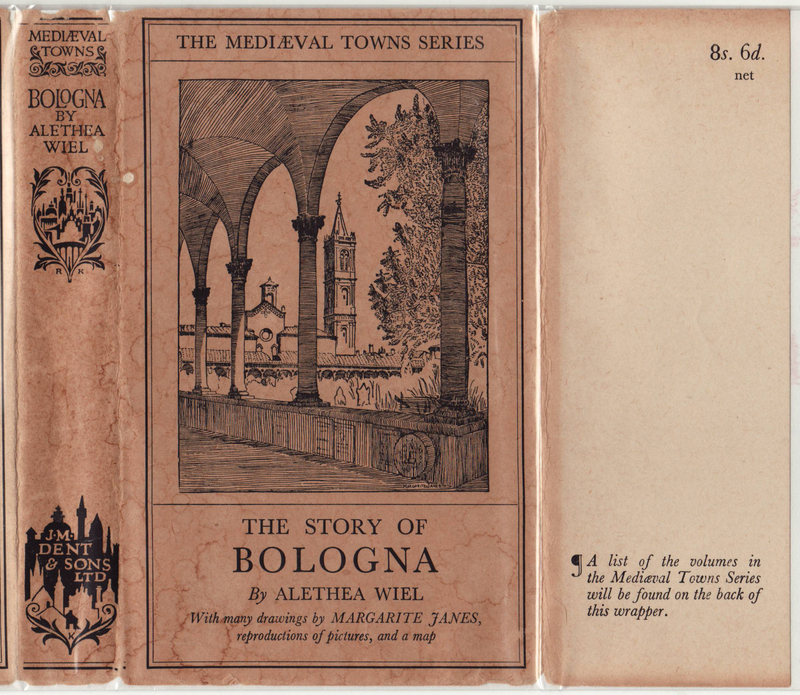 The jacket style on this 1923 first printing of Alethea Wiel’s The Story of Bologna is the series’ second jacket design (as noted above, the initial jacket design was text-based, the front largely an advertisement for the series). 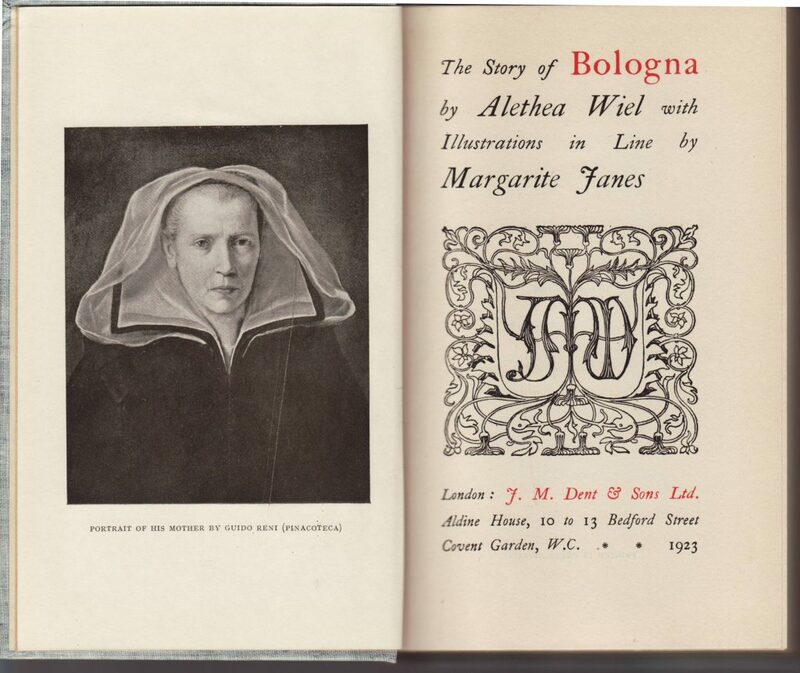 In the 1950s, a few reissues carried a redesigned jacket printed in color. Neither the initial nor late jackets are common. The jackets from the mid-era of the series are unique to each title, in that they include an illustration from the book. 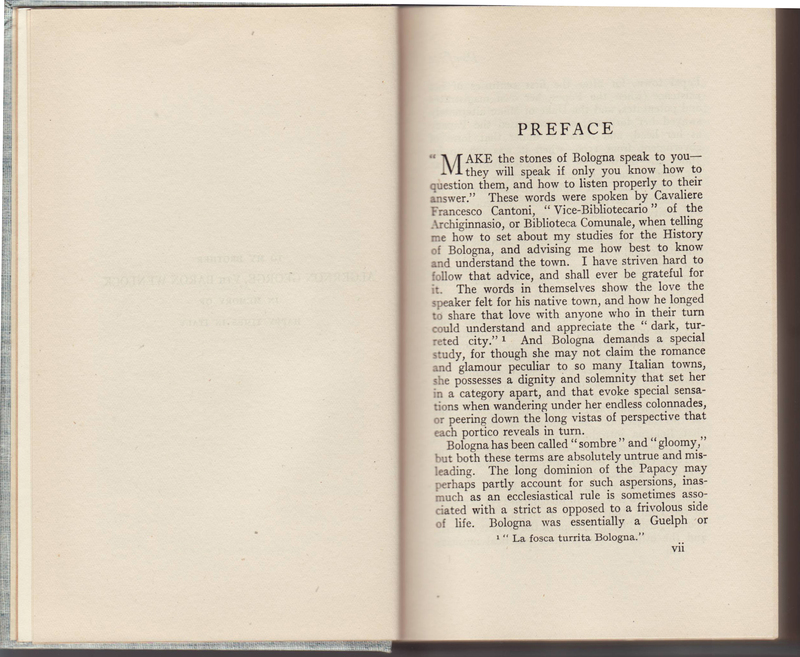 The spine includes the series name in addition to graphic elements typical of Dent’s book design of the era. The front jacket flap includes the price (8s./6d.) and a reference to a list of series titles on the rear of the jacket. The rear of the jacket lists 19 titles, of the 39 published. 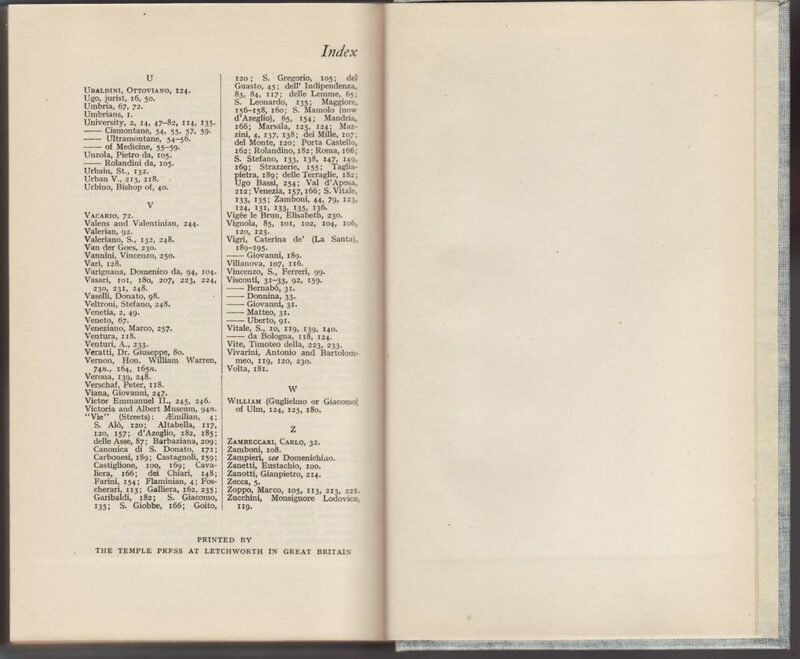 This list includes the number of editions and last reprint date of all titles listed. The prices varied, with several titles costing a bit more (10s/6d). 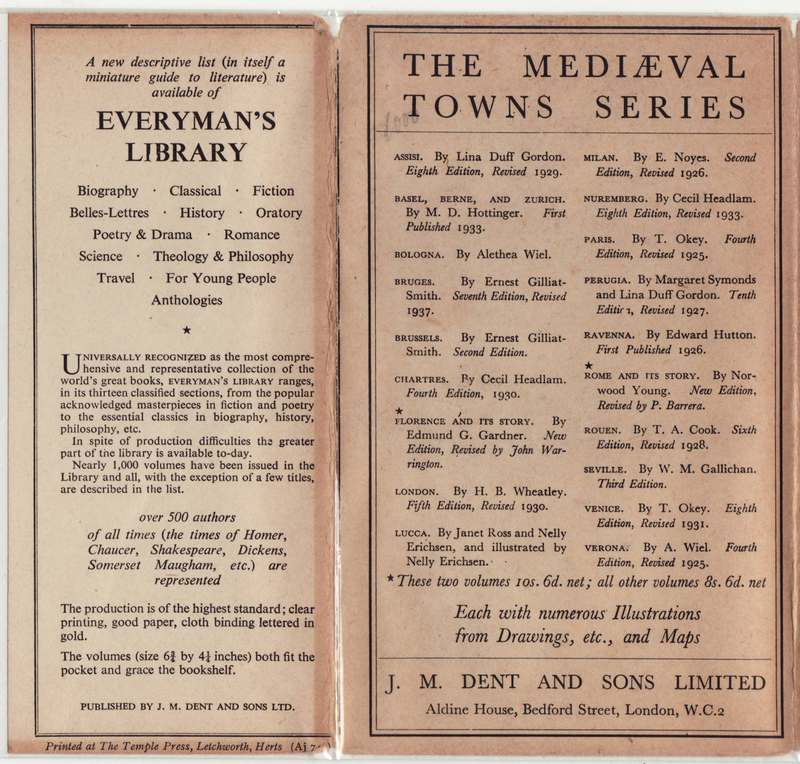 The rear jacket flap advertises Dent’s very popular Everyman’s Library series. 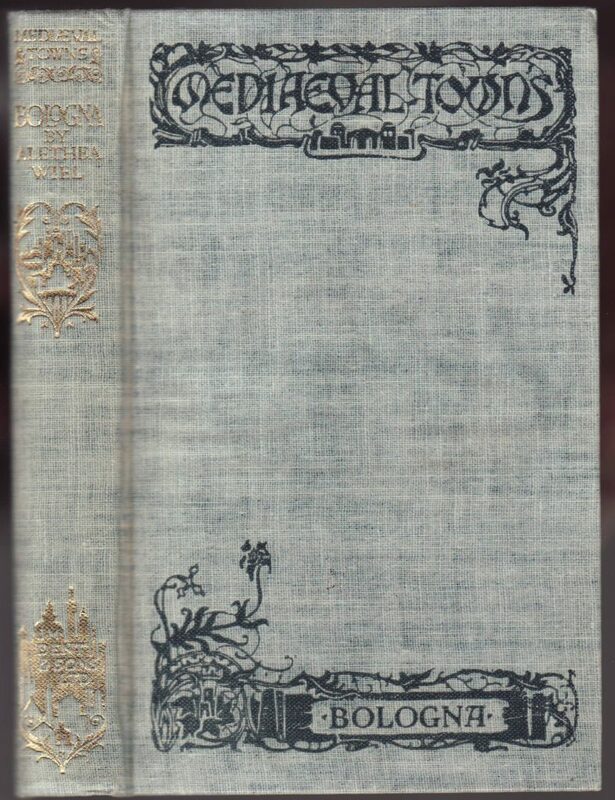 Bindings in cloth included gold and black graphics and typography in an arts and crafts/art nouveau style. The series name is on the book spine and front. A quote from R.L. 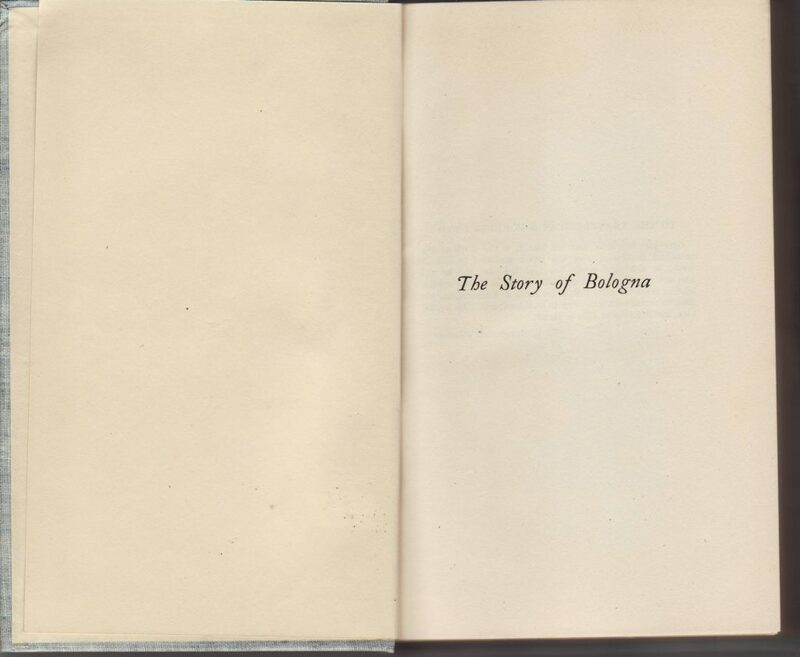 Stevenson is placed on the back of the half-title page. 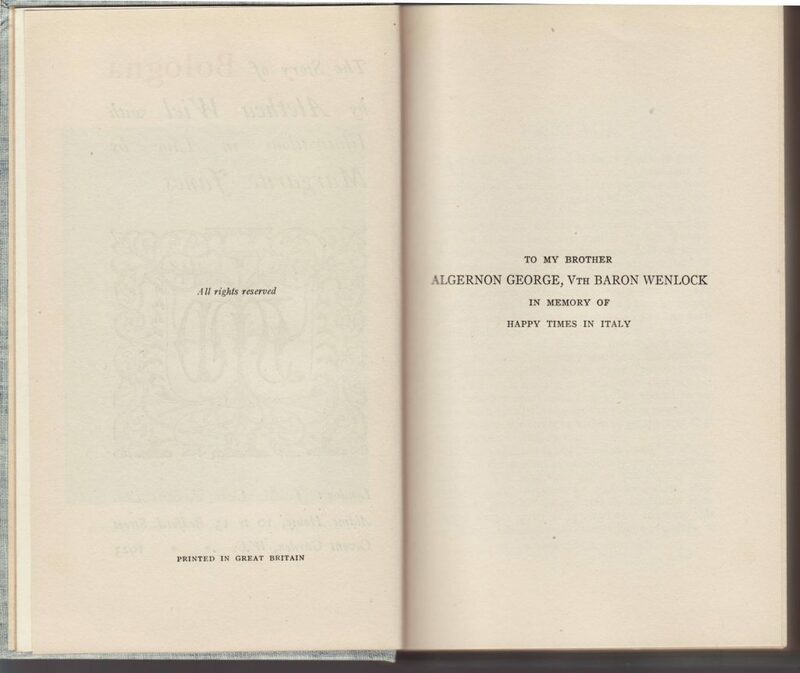 An illustration faces the two-color title page. The book’s date of printing is included on the title page. The copyright page. 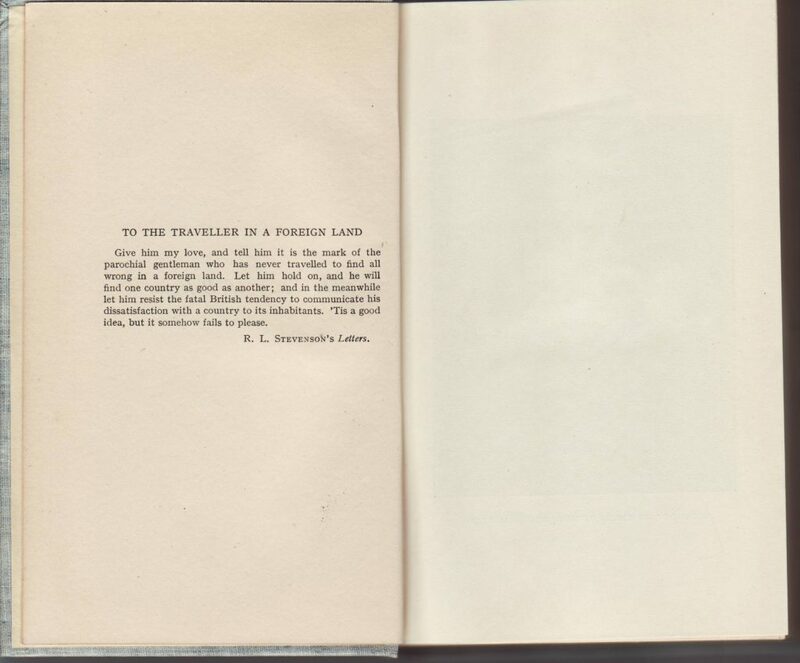 Through at least the 1930s Dent typically left the date off of the copyright page on first printings of their series books. The book was printed in Great Britain at Dent’s Temple Press at Letchworth.